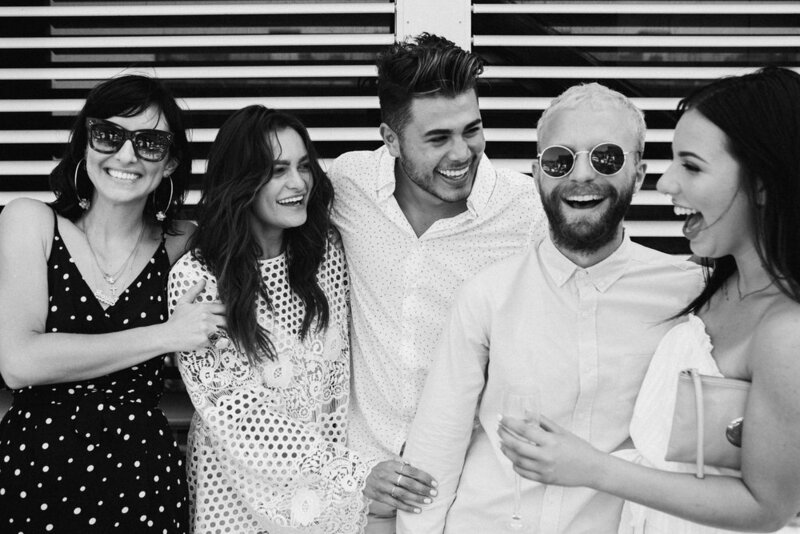 After meeting on Grindr over 3 years ago, Sydney couple Jaye and Clayton said their 'I Do's' surrounded by their family and friends on a glorious summers afternoon. 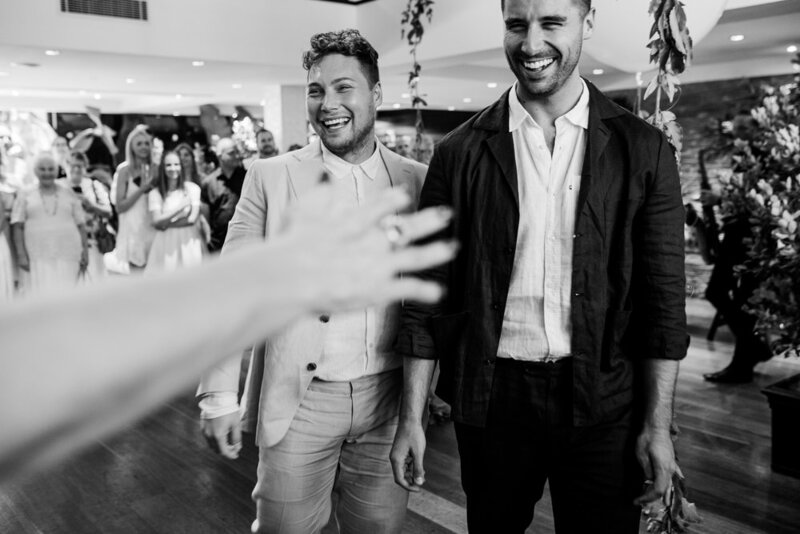 It really was a celebration of true love as the two grooms committed their lives together in a relaxed yet stylish wedding planned by Georgie from After The Rock. 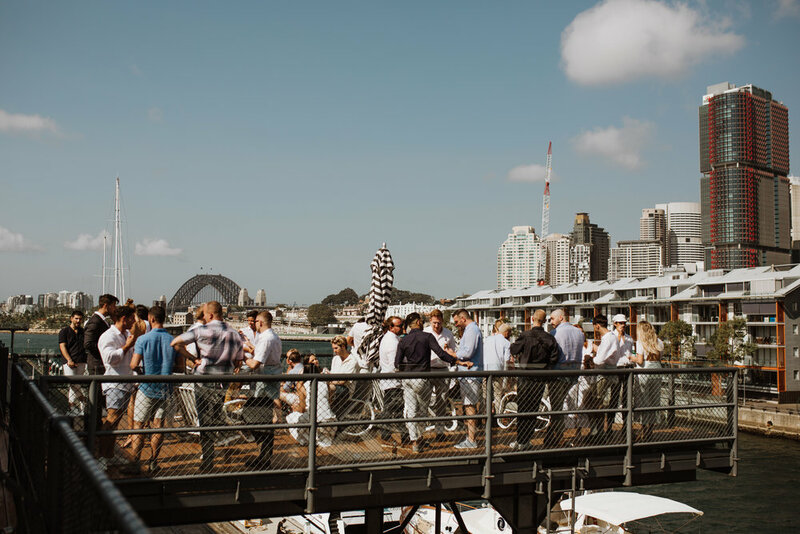 A true inspiration, Jaye and Clayton's Sydney wedding was a representation of themselves, proving that a wedding should wholly reflect you as a couple. 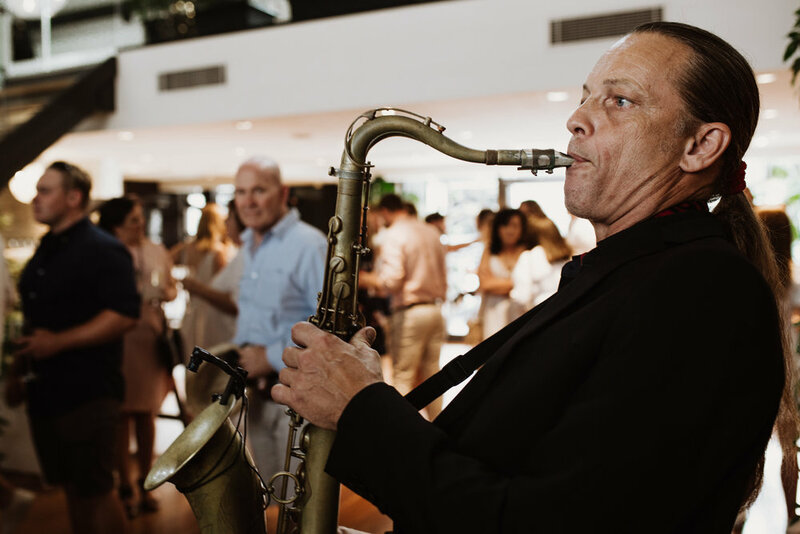 Captured by Alice Mahran and with a film by Soda Films, allow Jaye and Clayton's wedding to take you back to summer and soak up the romance of this perfect sun-filled wedding. We met on a dating app called Grindr, not so romantic, but I think we both knew after our 2nd meeting. 3 years on June 29th. Who proposed? and more importantly, how? I (Jaye) was on a work trip in North Queensland, Clayton decided to come and relax for a few days while I was at a conference. After I insisted we stay at the resort, Clayton convinced me to come and find this waterfall he wanted to see. We got lost and I was being the biggest nightmare, after driving for a while longer we came to the Dane Tree Rainforest, we pulled over and he asked to go for a walk, I also noticed that he was getting bag of something out of the car, he said it was Champagne and strawberries (I still did not click on to what was happening) and I demanded to carry it. In regards to your wedding day, what style of wedding were you going for? Hampton Summer was the theme. We were going for a relaxed luxe vibe, there was lots of white linen and greenery, with sprinkles of colour from the lemons and cumquat trees in terracotta pots and woven baskets. Sum up your wedding day in 3 sentences…. The most emotional day of my life. The happiest day of our lives. The most perfect day we have ever had. You had two weddings, tell us a little about them both.. Both of our weddings were everything we could have asked for and more. Sydney summer, sun, palm trees, white linen. and also our New York wedding; snow, 1920s vintage glam, which also included my best friend clearing out a bar for me. What was the number one thing of importance to you on your wedding day? That both Clayton and I were not stressed on the day. What was the best thing about your wedding? The overwhelming sense of respect and love in the room, we can both honestly say that we have never felt that kind of energy before. It still brings tears of joy every time we talk about it. Tell us a little about your story of acceptance, coming out and getting married. Where there any hurdles to jump? Jaye - To be honest, I never had any issues with self-acceptance, I knew from as far back as I can remember that I was gay. The hurdle was actually my mother, but I left home not long after I came out and found a family that was proud of me. She came around eventually when she saw I was happier than I had ever been. Did last years marriage equality postal survey affect you? I really did not think it would affect me, but I got so angry. Angry that my own country was voting on who they think I should be allowed to marry. Reading so many hatred comments, I was convinced it would not be a positive outcome. When it was though, I was so relieved! Any words of advice to anyone in the LGBT community finding it difficult dealing with unsupportive family around their wedding planning? Surround yourself with people who are proud to know you, your wedding especially is about love and acceptance. I learnt from an early age negativity and hatred spreads so rapidly and starts to take over your thoughts, don't let it in. It is best to be happy and let those who are filled with hatred go.